Not sure how I stumbled across this one, but it was back on a visit to enjoy the Washington Heights area to see Mother Cabrini's mummy (see entry for Feb 3, 2014). 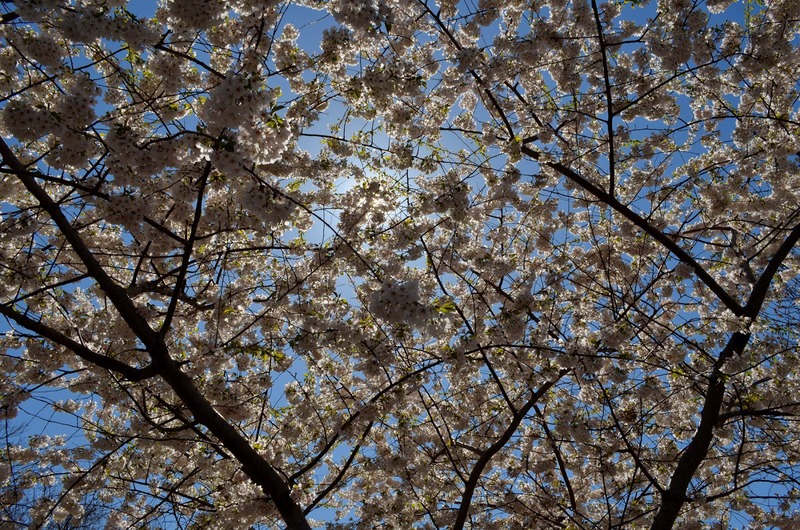 About 10 short blocks south of The Cloisters, right across the street from the the 181 Street subway stop's 183rd St exit is Bennett Park. 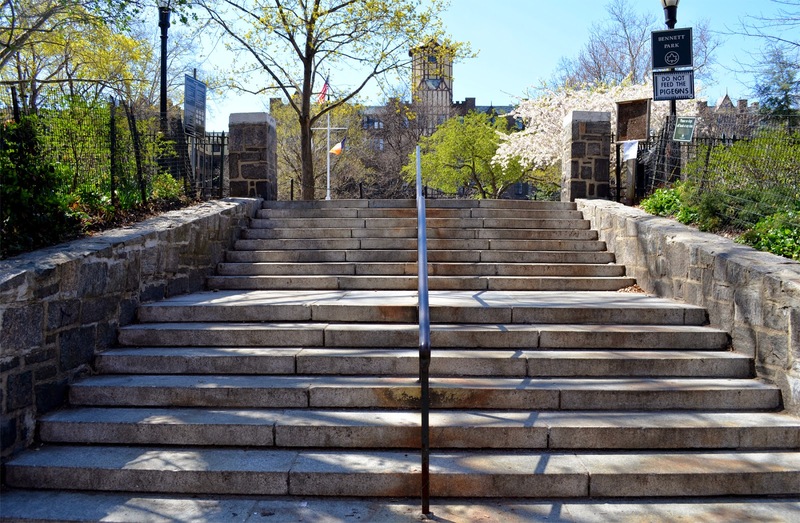 Named after James Gordon Bennett, Sr. who launched The New York Herald in 1835, the park opened in 1929. 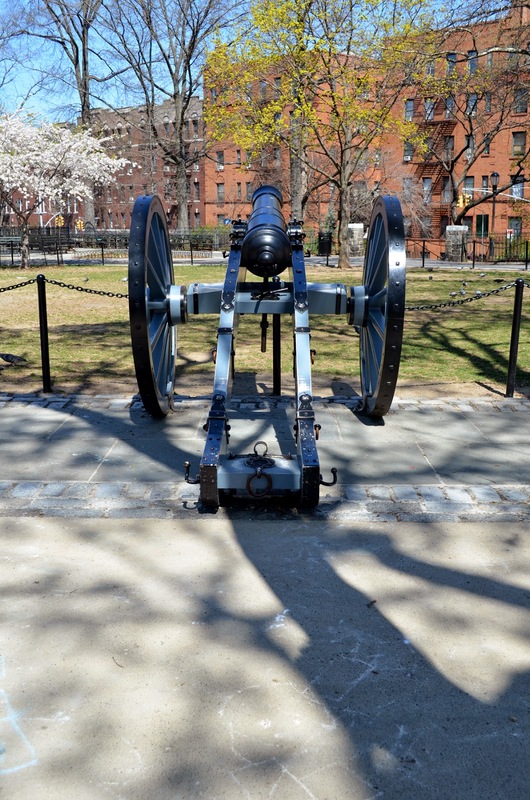 Bennett Park is a part of Fort Washington, which was part of the Continental Army's stand against the British during our independence. 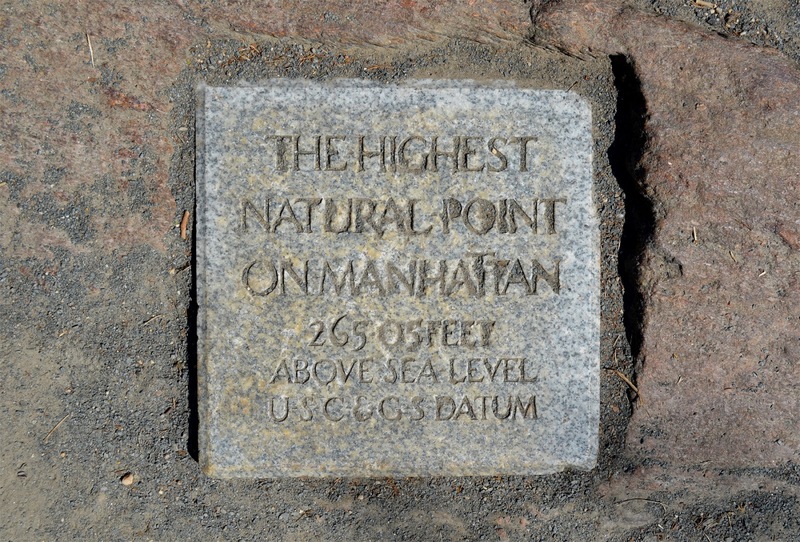 The park sometimes holds Revolutionary War reenactments, but what the spot is most known for to locals, is being the highest natural point in Manhattan at 265 ft above sea level. While admittedly not even the height of skyscrapers New Yorker's are used to, it isn't even the highest point in the entire city, which is actually Staten Island's Todt Hill at 390 feet above the waters. 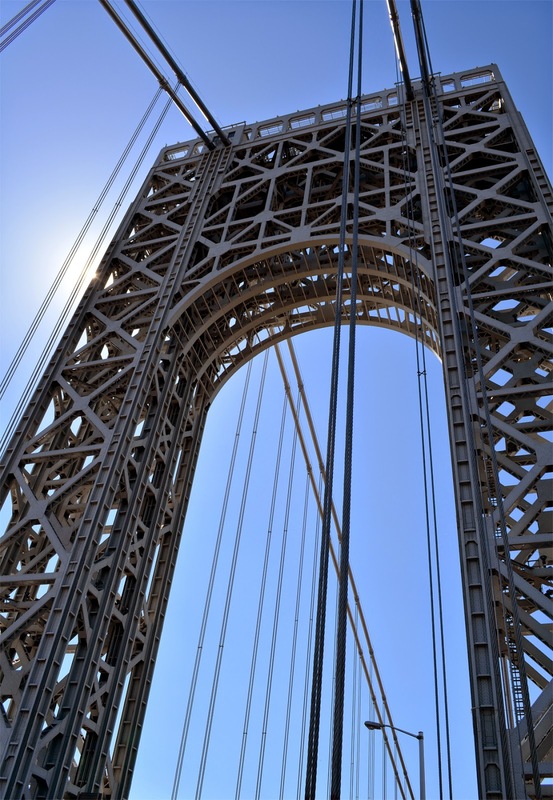 I decided to cross the George Washington Bridge over into New Jersey, just to say, "Hi!" I was thinking of areas I’ve been wanting to see, but have yet to visit, and the old World’s Fairground in Queens came to mind. 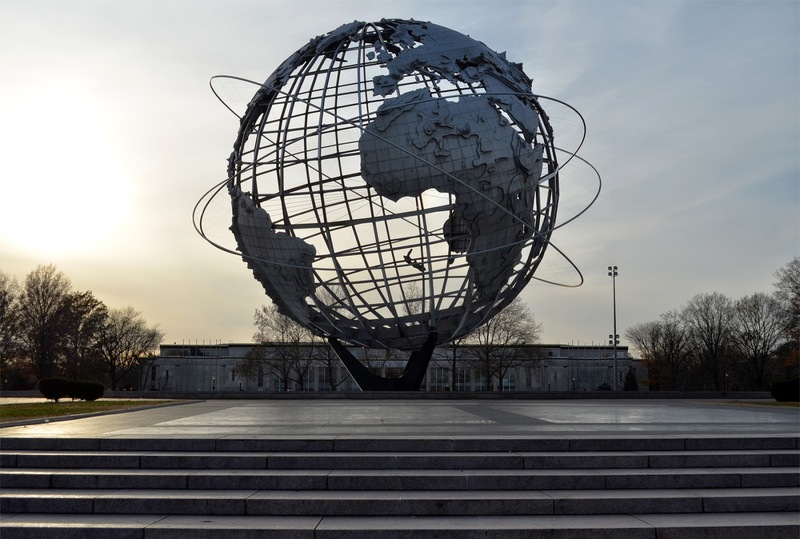 The park area, now called Flushing Meadows - Corona Park, contains a national tennis center, and venue for the U.S. Open tennis tournament, the home of the New York Mets baseball team (Citi Field), New York Hall of Science, Queens Museum of Art, Queens Theatre, Queens Wildlife Center, and the remains of the New York State Pavilion. Until demolished, Shea Stadium was also located in Flushing Meadows. 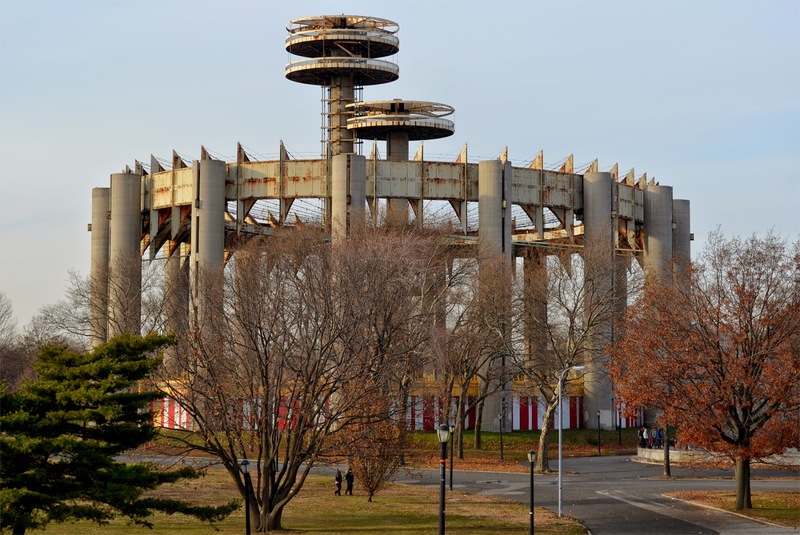 I, of course, went to see the old pavilions from the 1964 World’s Fair. 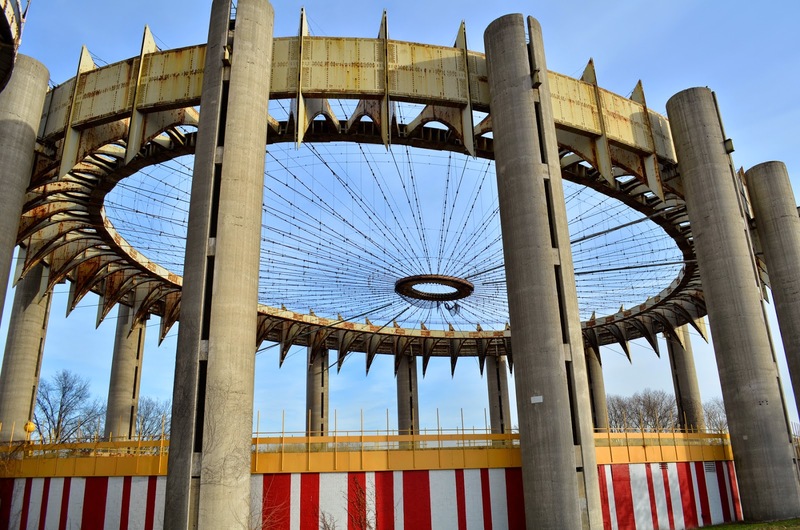 The pavilion was designed by modernist architect Philip Johnson in 1960, and work began in 1962. 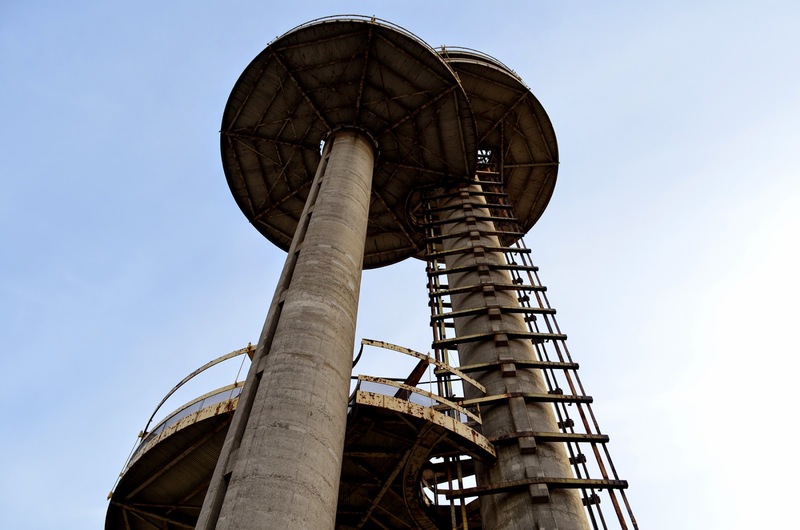 It was finished in time for the ‘64 World’s fair, and parts still remain in use, though much is abandoned. 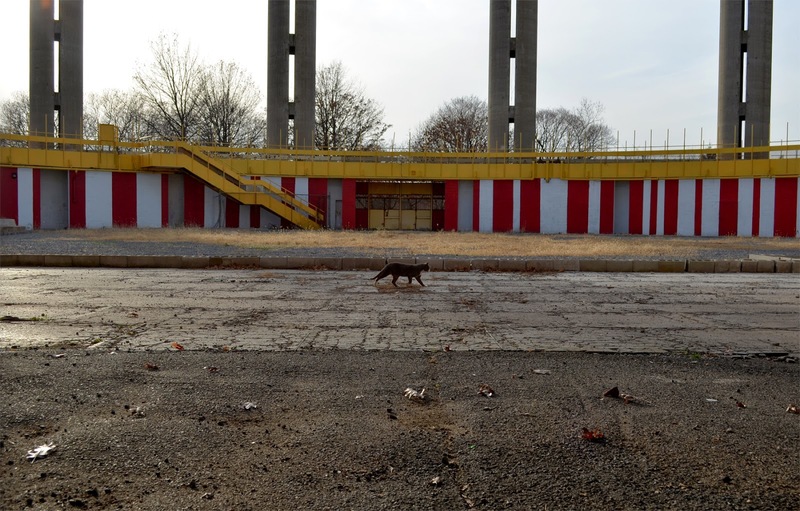 The pavilion was finally listed on the National Register of Historic Places in 2009. 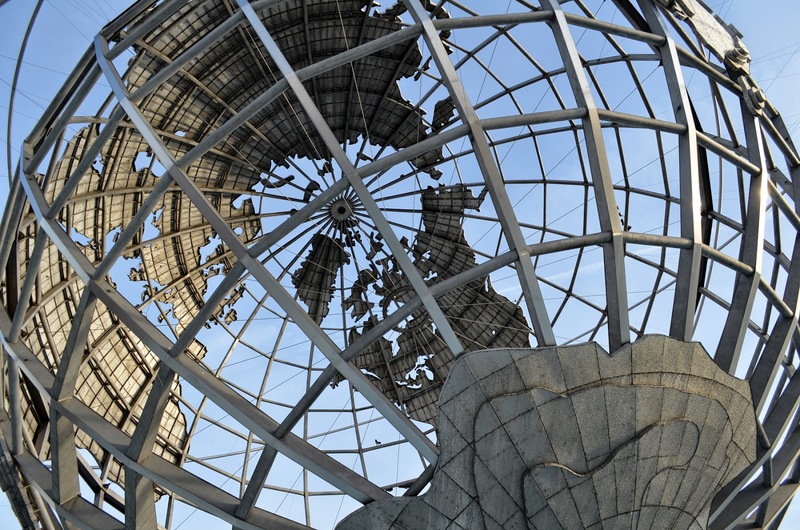 After walking the remains of NY State Pavilion, I headed to the rear of the Queens Museum to shoot the Unisphere, a 12-story, stainless steel model of our planet. 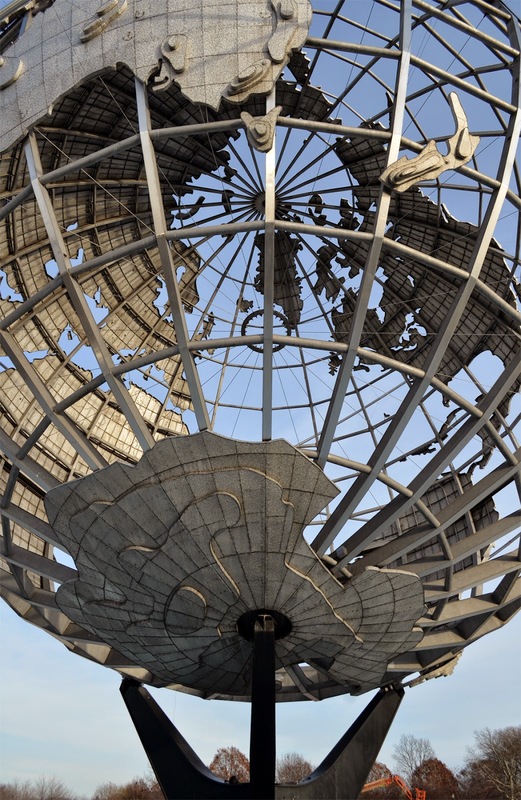 Designed by landscape architect Gilmore D. Clarke, it was to represent “man’s achievements on a shrinking globe in an expanding Universe”. 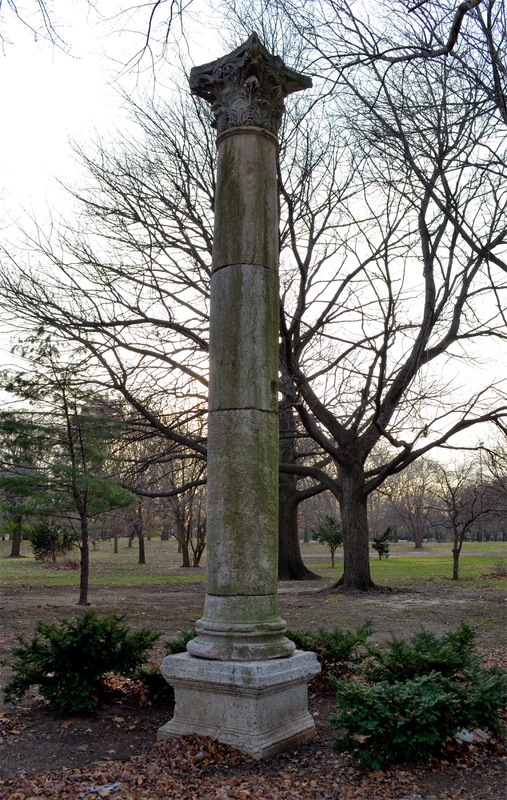 Afterward, I walked much of the park, and stumbled upon this beautiful Roman column, given to the park as a gift in 1964 by King Hussein of Jordan, which is dated from 120 CE. I did not traverse the entire park, so I missed works and sculptures by Jose De Rivera, Donald De Lue, Eric Fischl and others, not to mention I did not come across the infamous Fountain of the Planet of the Apes. This way, I have a reason to return.